My elderly labrador has always had a very sensitive stomach and we have spent nearly all her 14 years balancing foods, not giving her anything varied etc.... she had full blown pancreatitis and lost so much weight 18 mths ago, on an IV for a week...thought that was the end. She is still very thin on her low fat diet that I have found to be the best for her...but now she is at least retaining some nutrition with the addition of Tree Barks that was recommended to me by a dog trainer ...tellingly the vet has not heard of it !! !rnThank you, this stuff is incredible..she has half a scoop with each of her 3 daily feeds and things have just got better than she has ever been...:0))) I recommend it to everybody I meet.... so wish it was more known and I will always have it in my cupboard for my animals. I had a puppy who's had loose stools containing blood. Blood test were inconclusive. Checking out the Dorwest catalogue I was eager to try Tree Bark Powder and within 24 hrs of receiving the powder, her stools were normal and no sign of blood. rnI can now enjoy my puppy instead of worrying there was something deeper that was not showing up on the blood test. Ted is my 12 and half year old mini Schnauzer. He has had colitis for a year and after he lost his brother of 12 years recently got pancreatitis flare ups back to back. The vet said it was stress as he was already on a special diet. I started him on Tree Bark having used it many years ago on a Siamese cat and within a week Ted is doing so well it has even surprised my vet who has asked me to bring him in the details of Dorwest Herbs remedies. Ted may be an 'older' little man but now I am hopeful that at least he will be 'happy' little older man for a while yet. I have a 14 year old Sheltie who, while very fit and well with an excellent appetite, had started to have rather loose poos. Wasn't really expecting this to work so I bought the smallest tub but it is wonderful. Has stopped all the looseness and you only need a very small amount. I don't use it every day now - just occasionally. Luckily she is one of those dogs that wolfs everything down so I just mix it in her food.. Will definitely recommend it to others. Great service from Dorwest too.. It arrived the next day. Buck is 9 year old Border Collie. He has had a very sensitive tummy since a year old and has been a real worry when taking him on holiday in our motorhome. In desperation rather than expectation I decided to try tree barks powder and how glad I am that I tried it - or rather Buck tried it. His motions were lovely the whole 2 weeks - first time ever. Thank you Dorwest Herbs. He's now staying on it for the rest of his life. 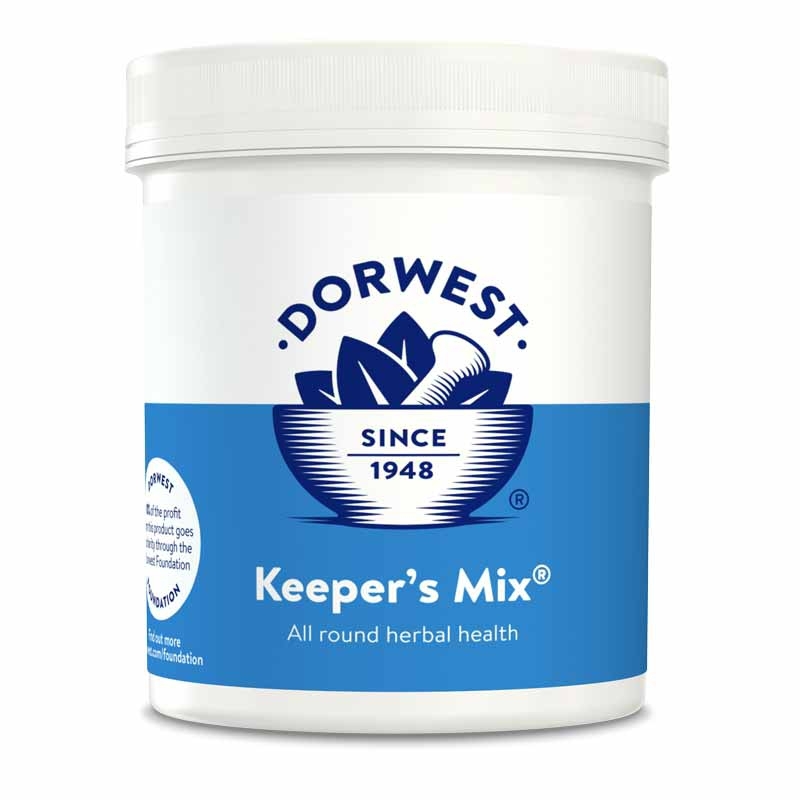 We use the Tree Bark Powder after a recommendation from Dorwest and it immediately helped settle and manage my dog’s stomach problems. rnI Will definitely use them again. My puppy (now 1 and a bit) has always had a very sensitive stomach. In fact when I first got her she couldn't keep anything down and has really bad diarrhea. So in a 'I'll give anything a go to make it better' mode I started her on Tree Barks. It completely transformed her digestion. Now that she's over a year I thought I'd try her without the supplement and yoghurt - but she immediately went back to the hideousness of before. So yes it really does make a big difference to her quality of life. My whippet was diagnosed with pancreatitis and I was recommended Tree Barks Powder for him. Since starting him on it we haven't had one morning when he has refused his breakfast or nor has he had the burbling stomach that means he is off colour. We had already started to give him low fat food in three meals but this powder made the difference. Use Tree Barks Powder for upset tummies - all back to normal in a few hours. 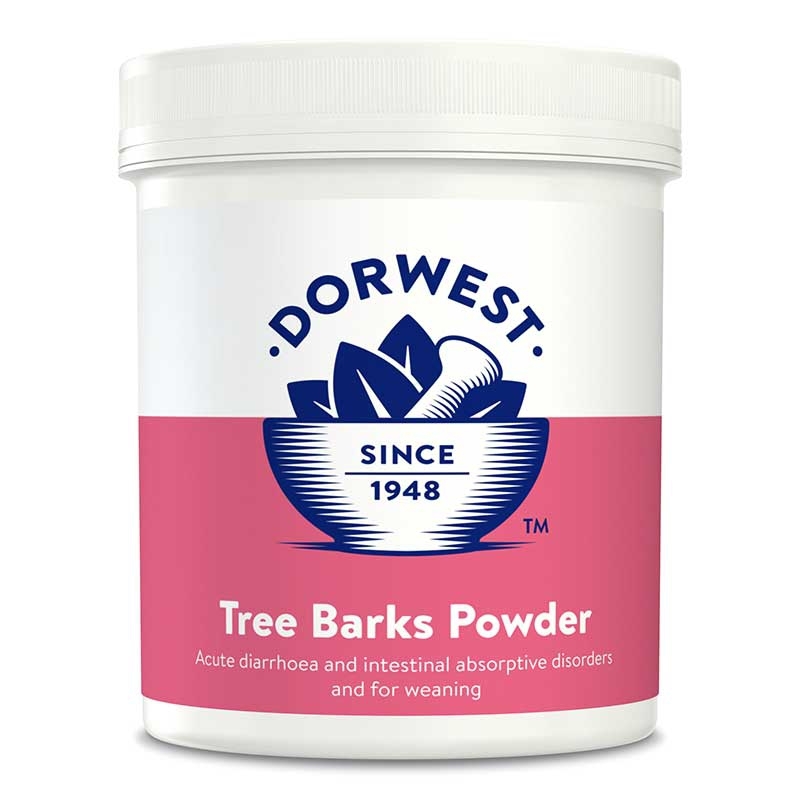 The Dorwest Tree Barks Powder is an excellent product. 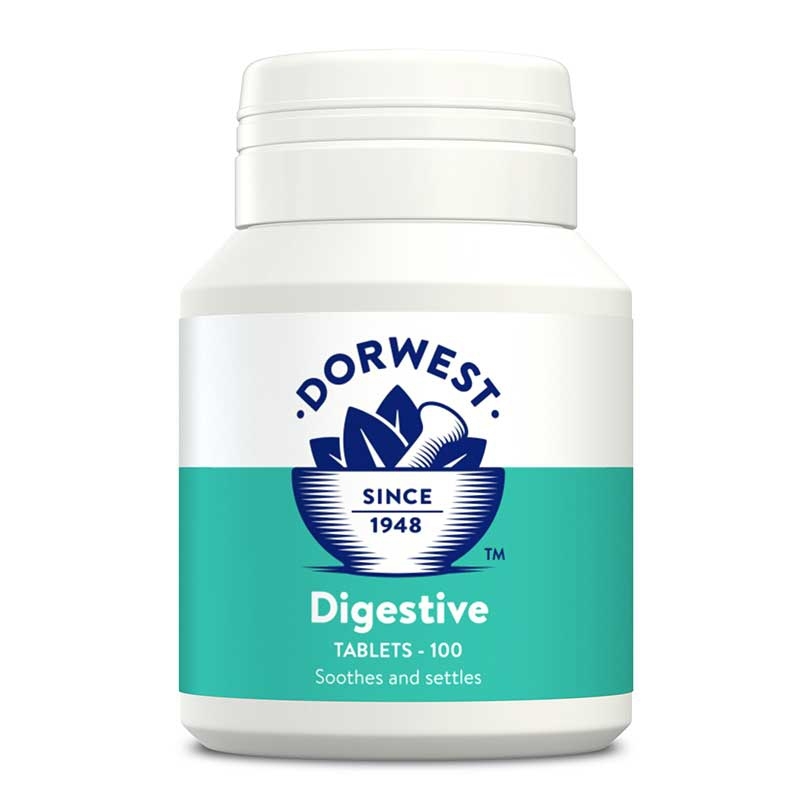 I have used it for a number of years whenever my nine year old Border terrier shows signs of having an upset digestive system. Having read so much about the Tree Barks Powder I decided to try it on my Shih Tzu. She suffers from IBD and after changing her diet to raw feeding I managed to get her off 2 antibiotics. I use Tree Barks just to control her condition and it's been amazing for her can't recommend this product enough. Finally no more diarrhoea. After trying different food and several weeks of antibiotics with no improvement a friend recommended Dorwest Tree Barks Powder. After only a week great improvement and no more bottom washing or visit to the vets. Fast delivery. One happy owner and pooch. Amazing results ! Our 4 year old Beagle with chronic Colitis has had Tree Bark Powder daily for two years. This has reduced his bouts of pain from monthly episodes to two / three times a year. Vet is seriously impressed !! Effective product and Quick delivery. I'd just like to let you know that my order of Tree Bark Powder plus the additional information (which I found very useful!) was safely delivered yesterday morning a delivery time of 5 days.I live in Italy! I have used Tree Barks previously to treat a bad bout of (probably) viral diarrhoea in my very elderly dog. I had no problems with mixing the powder in my dog's food and after a few days (and without having to use antibiotics) the situation got back to normal. I have been pleasantly surprised by the speed of delivery - I will certainly shop with you again. So thank you Dorwest for helping me and my dog out! 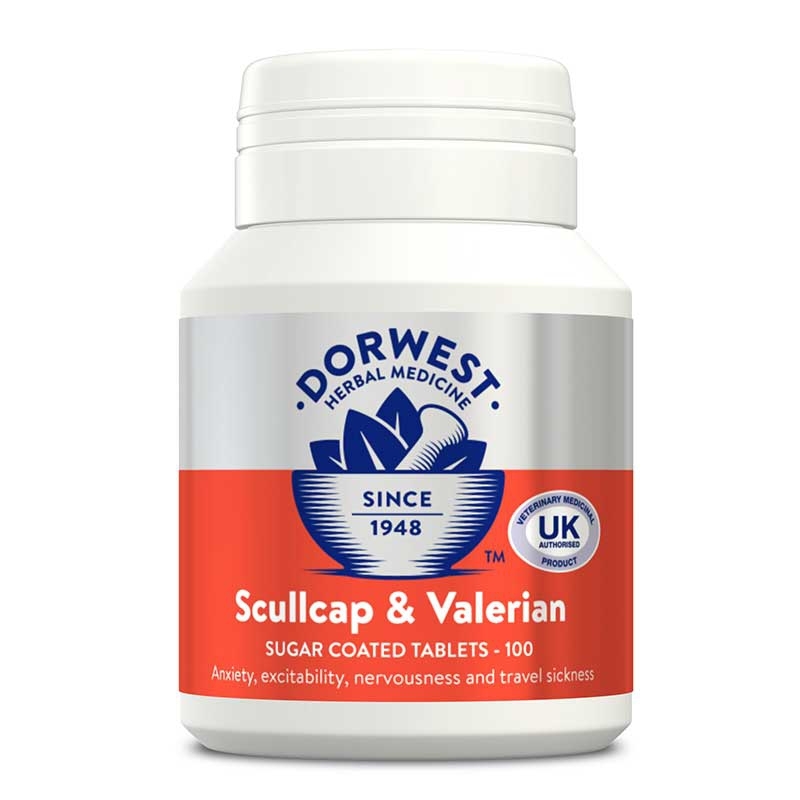 Got a 5yr old Lab with a dodgy tum and food intolerance colitis issues tried this for the first time during a recent upset and was really impressed things settled quickly and better than when I've used kaolin paste. All back to normal within less than a week would highly recommend it. Also the ladies on the end of the phone are very friendly and couldn't be more helpful. This was recommended by some one at Honeys Real dog foods. Our retriever has always had a very sensitive tummy and could not eat anything except Lamb and Rice kibble. The first breakthrough was switching him at age 11 to Honeys raw food amazing lambduckchicken rabbit and Turkey all fine and no more soft mucous poo. The second breakthrough was your tree bark powder on occasions Archie snaffles bread and rubbish in the park and gets diarrhoea. It works like a dream thank you. This genuinely saved my pointers life. She had chronic diahorrea for 6 months and was diagnosed with chromes / IBD. She was up 5 times a night we tried everything - steroids different foods etc and we nearly lost her when her weight went down to just 16 kilos. It was awful. This product was recommended by a friend and after using just a level teaspoon in every meal after just a day I noticed a difference. Used along with an amazing pro-biotic called VL3 she's now on amazing form. This product was recommended by a friend as my cat has had an upset tummy on and off for months. I rang and the lady was very helpful so i ordered the Tree bark powder there and then. It was delivered the very next day. My cat can be a bit fussy but ate it mixed in with her usual wet food. The next day she was solid i was really impressed but has been a bit up and down since but it hasn't been a week yet so still seeing how it goes. My cat is now getting a bit more fussy about eating it. We rescued our pointer at the age of 3yrs and have struggled to keep weight on him and clearing up very loose poos. Tree barks has made such a difference to him and us. Thanks to your staff at Crufts for their kindness help and advice!!! My rescue dog had serious food intolerances and digestive malabsorbtion so after reading about the tree bark product I began using it one scoop added to morning feed. Within a week poo was becoming more normal and only twice a day. She became happier and healthier gaining twice her body weight. Continued for over one year now. Brilliant results healthy dog no drastic vet exploration. I was told to get Tree Barks Powder for my cat that we got from a shelter. We had big problems with diarrhoea and also tummy problems. We spent a lot of money on vets fees and tests then we got Tree Barks Powder and after 1 week we had no diarrhoea and no rumbling tummy. I bless the day I was told about your selves. Many thanks from a grateful cat owner and cat. I decided to try the Tree Barks Powder as I have been concerned about my dog Mac's inability to gain weight and his digestive problems. In the 18 months that I have had him there has been no consistency with regard to his faeces. He could go up to 6 times a day and it was rarely firm ranging from medium soft to liquid on some occasions. I had begun tests at the vets and he was on an extremely expensive dog food. Since I have been giving him your Tree Barks Powder he now goes around 3 times a day and it is firm every time he has even gained half a kilo and people have commented on how he appears to be happier! I am really pleased with the product and will be ordering more and will recommend it to others. Just a few lines to thank you for sending the Tree Barks Powder for Daisy my King Charles Cavalier. I had been battling with Daisy's tummy for weeks I kept getting her better and then back came the diarrhoea again there had been several dogs with this problem and Daisy just kept picking up the bug again. The Tree Barks Powder was wonderful and improvement was soon visible and at the end of 6 days she was completely better. Hooray! Thanks again. This is brilliant for preventing and treating diarrhoea in my dog. His stools have firmed up by the next day. I do have a problem getting it down him though even when mixed in natural yogurt. However he will readily take it mixed in with some canned fish and it still works this way. I was surprised at how long a 100g tub lasts as a teaspoonful weighs hardly anything so a little goes a very long way. I just couldn't be without this product. Every time my dog gets an upset tummy (which is regularly) not even 10 minutes after giving this to my dog the gurgling tummy settles down and the poos firm up. An aabsolute life saver and a must have for all dog owners. The main thing apart from the fact that it works is that is is totally natural! Brilliant product and very helpful company who will happily talk you through any concerns.